I can't believe Thanksgiving is next week. I usually like to wear a top and jeans, especially after all the food I eat that day! 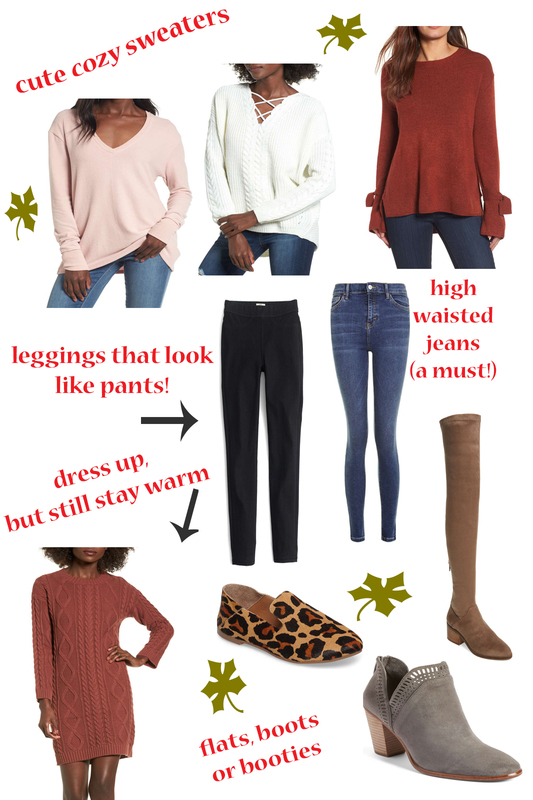 I linked my favorite sweater that you can easily wear with a colored pant or jean. I love these because they are really leggings, but look like jeans! I love the idea of wearing a sweater dress because you can still hide that food belly! A pair of boots, flats or booties will look perfect with any pair of skinny jeans!